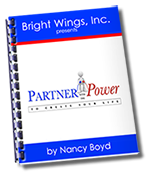 New Home page | Bright Wings, Inc.
Download your FREE copy of Partner with the Power to Create Your Life! Discover how to quickly tap in to the most powerful force in the Universe. New book reveals all! You’ll also receive my newsletter full of tips, support, and information about ways I’m helping others just like you transform their pain, confusion and frustration ~ to coherence, joy, and power. You came in bright as a star. Even while still a tiny new baby, you look right into the soul of everyone you meet – which, truth be told, often scares the daylights out of them. It doesn’t stop you from seeing what you see and knowing what you know. It hurts when nothing is the way you know it can ~ and should ~ be. You feel the pain of the Earth, its creatures, and every living thing that is not served. 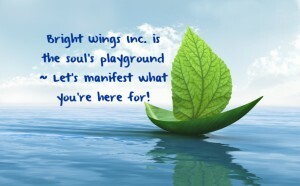 You KNOW it can be different ~ and your soul longs to create goodness. You are not afraid to confront authority ~ which often gets you in trouble. But it doesn’t stop you from making waves and leading with your heart. I celebrate your courage and YOU! I respect your Light. That pain you feel? It’s special. It will heal, as you begin to offer your gifts. You are super-intelligent, gifted in one or more ways. You may be so sensitive that you can’t tolerate chemicals or even some foods. You came in with a few more cards in your deck than others around you ~ and you think you’re the only one. You think you’re alone. You’re not. Is this you? If so, work with me. Get on my mailing list. 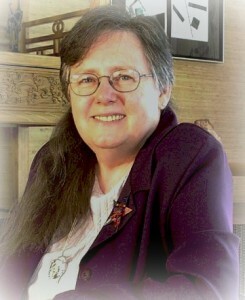 I send out tips, support, and information about ways I’m helping others just like you transform their pain, confusion and frustration ~ to coherence, joy, and power. I do that every day. It’s an amazing journey for all of us. Check out my programs and resources. I have a wealth of resources that I have developed over the years, and several key ways to support people in transformation. Most of them are my own; others are from sources I know, trust, and use myself.